RODENT CONTROL - "We kill what bugs you!" 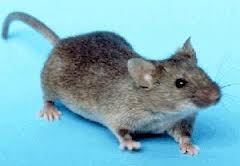 The house mouse is the most common rodent to be found in and around structures, the Norway and Roof/Black rats are a close second. Rats can be a very big problem when found in structures due to their destructive behavior. They have an inherent need to continually gnaw on any hard or semi hard object they can find, usually boards, pvc pipes, electrical lines, air ducts, etc... Rats will also eat and contaminate stored food products which can lead to certain human health hazards, due to the fact rats are carriers of disease. The common house mouse is small in size usually only 2.5 - 3.5 inches in body length with a tail length from 2.5 - 4 inches long, which is about 1/3 the size of a Norway or Roof rat. Signs of infestation include gnaw marks, droppings, urine spots, and tracks or footprints. Fresh droppings will be evident where they are actively running. Rodents can be difficult to eliminate from a structure due to a number of conducive conditions that may be present and contributing to their breeding or harborage needs. So if the snap traps and glue boards just won't work anymore, give us a call we can help with a more permanent solution. Norway and Roof rats are the second most common and the largest rodents found in and around structures in central Texas. Just like their cousin the House Mouse, they can be very destructive as well, with the same need to gnaw on objects. Norway rats will chew through almost anything for food or water, even lead pipes. Many of the same behavioral characteristics found in House mice are also present in Norway and Roof rats. It is also very important to eliminate infestations as soon as possible to help reduce the risk to humans from a health standpoint. Rats have unique behavioral characteristics in that they will continually explore their surroundings and shy away from any new objects or changes in the layout of a room. This factor can both help and hurt your efforts in gaining control of an existing infestation. So if the rats you're dealing with just won't go away and you have tried everything you know, give us call and we can help put an end to your rodent problem.